Most of us have a difficult time trying to schedule a little “me time,” or any type of activity that can serve to relax and relieve stress. But did you realize that by allowing yourself some time to get away and to take part in enjoyable activities can actually give you more energy and even make you feel more enthusiastic about some of your regular responsibilities? I talk about self-care a lot here and with my clients. This is partly because it’s so important, but also because it’s something I neglected for myself for so many years. Without giving yourself a reward or anything to look forward to, you’re bound to become more stressed out over time, and ultimately even burned out, making it more difficult if not impossible to get through daily activities. Something as simple as doing the dishes or running errands in town can seem overwhelming when you reach burnout. You may struggle to get up in the mornings or have afternoon fatigue that prevents you from getting all of your daily tasks done. You may become irritated, or get “brain fog” that makes it difficult to concentrate or remember things. By adding a little luxury to your typical schedule, you’ll not only be treating yourself to something you deserve, but it will increase the quality of the time you spend on other tasks. Bringing a little luxury into your daily life doesn’t have to cost you a fortune, or require months of planning. We’re talking about the small things here, and they are absolutely attainable if you take it seriously and make it a priority. Walking is one of the best ways to reduce stress as well as improve your health. Any form of exercise can help you to cope with the problems of everyday life, and take your mind off your worries. Once the blood is pumping, most people feel stronger and more confident about their lives. If you have a scenic walking path or trail near you, take time to appreciate the surrounding beauty for an even bigger emotional boost. A bath is a great way to soak your cares away. 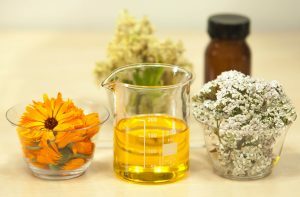 The warm water soothes aches and pains, and by using aromatherapy products like scented bubble bath or candles, the pleasant scent will also relax your mind. Close your eyes and let the water embrace you as you breathe deeply, relaxing each and every part of your body from your toes to your forehead. While many of us spend all of our time staring at a computer screen, instead of turning on the television in the evening, rest your eyes from the glare and read a book. Curl up to that good read and escape to a faraway land. It’s a great way to forget about anything that ails you. By taking time to write a list of everything you’re grateful for, no matter how small, you’ll automatically get a big mood boost and feel less stressed. By the time you’ve finished, you’ll likely realize that you have so much to be thankful for that there is no reason to worry about the little things that seem to cause so much stress. If you already have a favorite hobby or two, don’t forget to schedule yourself some time to enjoy them. If you don’t, consider taking a class in something that interests you. Getting your creative juices flowing can be soothing, and if you have something to show for your efforts, you’ll also get a confidence boost from accomplishing something you feel is worthwhile. You can use a special candle in your favorite scent, or buy some new candles to mix it up. Light the candle in the room to enjoy while you’re doing other things, or use them while you’re taking a bath or reading a book. What would you add to this list? What are some ways you find a little luxury in each day?